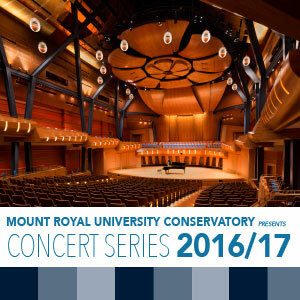 Two marquee series, comprising seven events in 2015-16, will showcase the breathtaking acoustics and intimate ambiance of Calgary’s newest concert venue, the Bella Concert Hall at Mount Royal University. 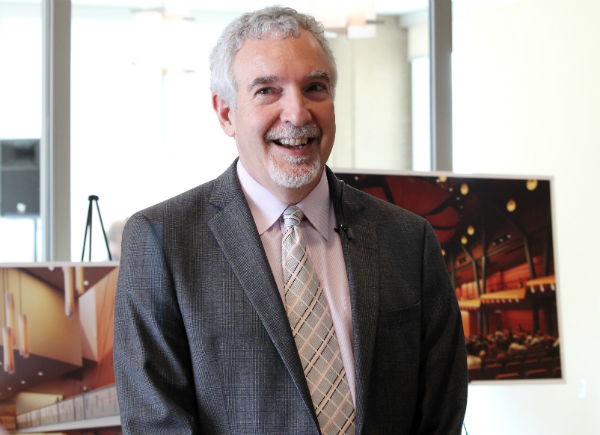 The announcement was made by Conservatory Director Paul Dornian at a launch party for Conservatory sponsors, supporters and media on May 1. The Opening Festival for the Bella Concert Hall features four outstanding concerts between September 19 and October 3, 2015. The 2015-16 Wyatt Concert Series line-up was also revealed. The Wyatt season will feature four concerts by young, edgy superstars. The September 30 concert by superstar pianist Yuja Wang is a crossover event for both series. The launch party featured a presentation by Academy for Gifted Youth alumna Natalie Wiebe, violin. 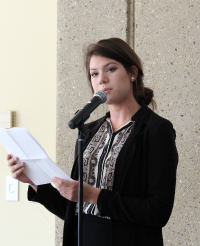 Natalie told of being inspired by the Academy’s abundant performing opportunities and access to international faculty. She welcomes the Bella Concert Hall as an impressive new platform for future musicians, facilitating even greater collaboration possibilities between students and visiting artists. “Young guest artists help students realize their dreams and build an invaluable rapport with young musicians.” Natalie said. 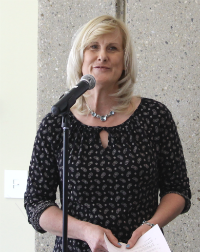 Opening Festival sponsor Karen Drummond of United Active Living spoke about the importance of the arts to the health and happiness of the residents of this leading-edge seniors’ facility. The partnership between United Active Living and Mount Royal includes guest lecturers, nursing practicums and music appreciation. The residents will enjoy attending events in the new venue. “Our residents enjoy regular music programming at Mount Royal,” Karen said. 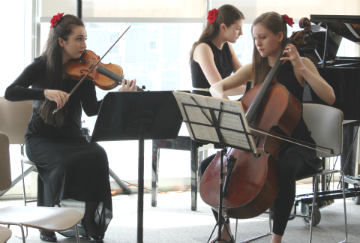 The Passion Palette Trio — Isabella Perron, violin, Mari Coetzee, cello, and Anastasia Kulikova, piano, current students of the Academy for Gifted Youth — gave a stirring performance of Antonin Dvorak’s Piano Trio No. 4 in E minor to crown the event. “Bella Voce” Opera Gala – Sat., Sept. 19, 8 p.m.
“Luminous Night” Choral Showcase – Sun., Sept. 27, 3 p.m.
Yuja Wang, piano – Wed., Sept. 30 , 7:30 p.m.
Yuja & Friends – Sat., Oct. 3, 8 p.m.
Presenting sponsor: United Active Living Community. Super Stars – Sat., Jul. 18, 7 p.m.
Yuja Wang, – Piano – Wed., Sept. 30, 7:30 p.m.
Igudesman & Joo – Sat., Feb. 27, 7:30 p.m.
James Ehnes, Violin – Fri., May 13, 7:30 p.m. The Wyatt Artist in Residence Program and Concert Series honours Hal Wyatt and his late wife, Marnie, who are long-time friends and supporters of the Mount Royal University Conservatory. Dean Webber expressed appreciation for the Wyatts’ long-term support. 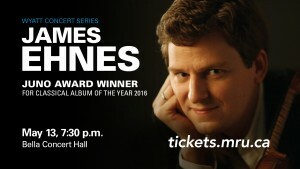 Concert tickets for the two series start at $60 and are available through tickets.mru.ca (as of May 12) or 403.440.7770 now. Imagine having the world’s top classical musicians teaching in your classroom. 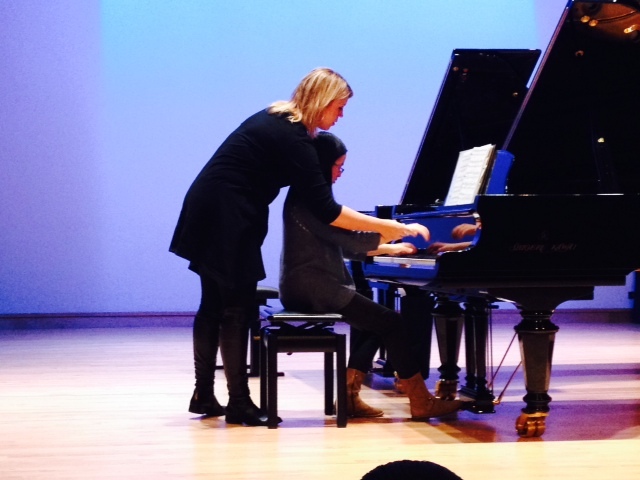 For Mount Royal Conservatory’s Academy for Gifted Youth, it’s all part of the program. American pianist Jeremy Denk is coming to Mount Royal Jan. 17 as part of the Conservatory’s Wyatt Artist in Residence Concert Series. 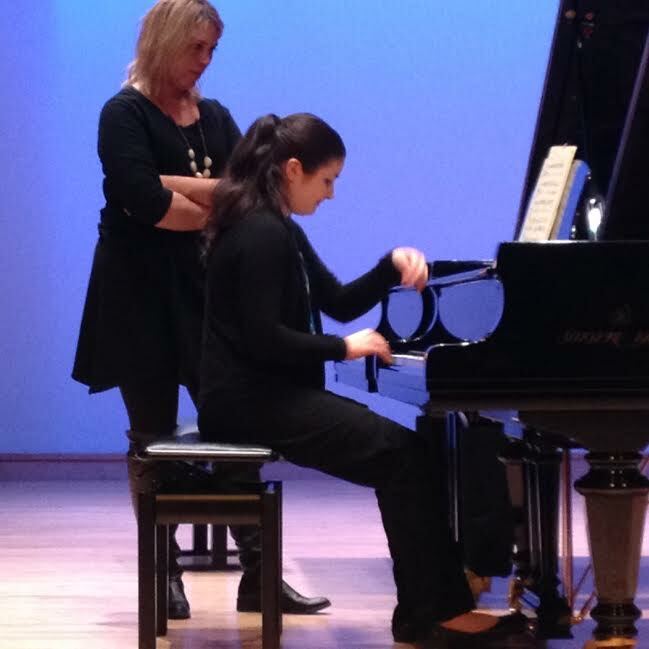 The unique program offers the public and the Conservatory’s gifted students a chance to be up close with the masters. Artists in residence offer an exceptional opportunity for the Conservatory’s Academy for Gifted Youth students, enriching curriculum through master classes. 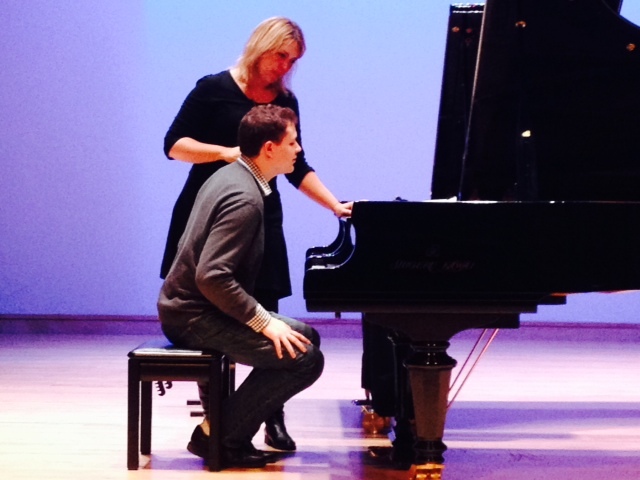 Academy piano students, ranging in age from 9 to 18, are benefitting from Denk’s mentorship. Concert-goers have a rare opportunity to experience a world-class performance in the intimate 300-seat Leacock Theatre. Denk is one of North America’s most thought-provoking, multi-faceted, and compelling artists. 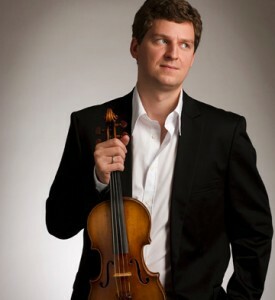 He has appeared as soloist with the Los Angeles Philharmonic, the Philadelphia Orchestra, and the symphony orchestras of Boston, Chicago, San Francisco, and London, and regularly gives recitals in New York, Washington, Boston, Philadelphia, and throughout the United States. The pianist’s writing has appeared in the New Yorker, the New Republic, The Guardian, and on the front page of the New York Times Book Review. One of his New Yorker contributions, “Every Good Boy Does Fine,” earned him a book deal from Random House. 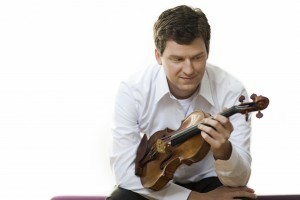 Now entering its ninth season, The Wyatt Artist in Residence Concert Series continues attracting the world’s leading classical musicians to teach and perform in Calgary. 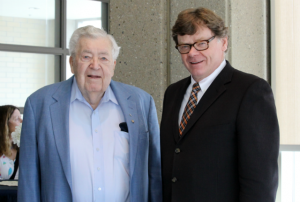 The series honours Mount Royal Conservatory Foundation chair emeritus Hal Wyatt and his late wife, Marnie, long-time friends and supporters of the Conservatory. Wyatt performers are stars in the classical world. Past performers include pianist/composer Anton Kuerti, Grammy award-winning cellist Lynn Harrell, violinist James Ehnes, and Morningside Music Bridge alumna Yuja Wang. 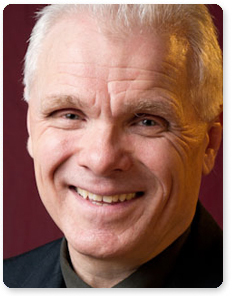 Swedish cellist Frans Helmersson is the season’s final concert April 24, 2015. 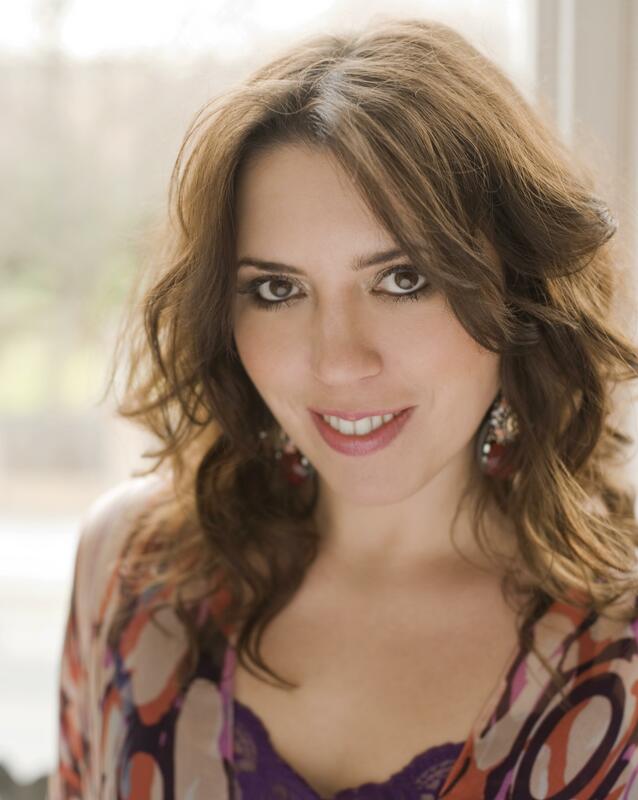 Don’t miss Gabriela Montero in concert April 1, 2014 at Mount Royal’s Leacock Theatre. In a world where classical musicians strive for perfection playing every note written, making it up as you go along is largely left to jazz. But Gabriela Montero has managed to play both sides, winning over critics and fans alike. While Bach, Beethoven and Mozart were no strangers to improvisation, the classical world has long moved away from it. But as a classical musician, Montero brings a wealth of knowledge and sheer talent to improvising the work of the masters. And the results are stunning. Montero puts it best: “It’s spontaneous creation. It’s spontaneous music making. And is it perfect? I don’t know. It’s not, I mean it’s something that is just born and dies,” (she told CBS 60 Minutes). 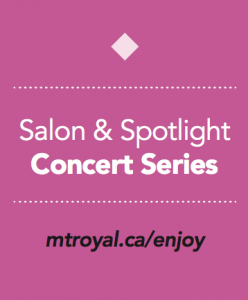 See Gabriela Montero in concert April 1, 2014 at Mount Royal’s Leacock Theatre. 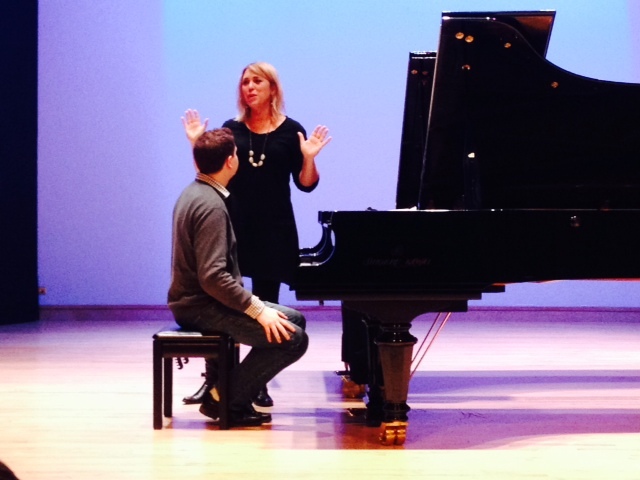 She is teaching master classes for our Academy for Gifted Youth students as part of our Wyatt Artist in Residence program. And stay tuned for our announcement for the star-studded lineup for the 2014-15 Wyatt season.